Please note: this seminar was rescheduled from the original date due to weather. 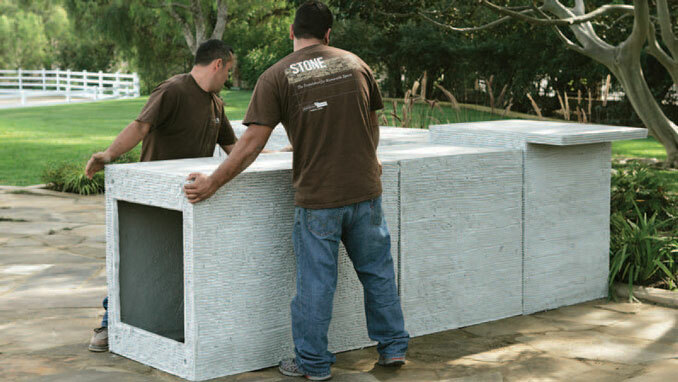 On Tuesday, February 12 Thursday March 14, Penn Stone will host a seminar on Eldorado Outdoor Building Blocks for outdoor kitchens as well as Eldorado Artisan Fire Bowls. Dean Lehman from Eldorado Stone will join us and will discuss the following topics. Regarding Eldorado Outdoor Building Blocks: features & benefits of GFRC Building Blocks; comparison to CMU block construction along with discussion regarding labor cost savings; creative installation methods & other uses beyond kitchens & fireplaces. Regarding Artisan Firebowls: Dean will discuss the unique manufacturing and finishing process; describe & demonstrate the Warming Trends Burner system; review the various styles & color options as well as available accessories.